* * * NOTES: Low Ki defeated Christopher Daniels, Spanky, and Doug Williams in a four-way 60-minute Iron Man match to become the inaugural champion. 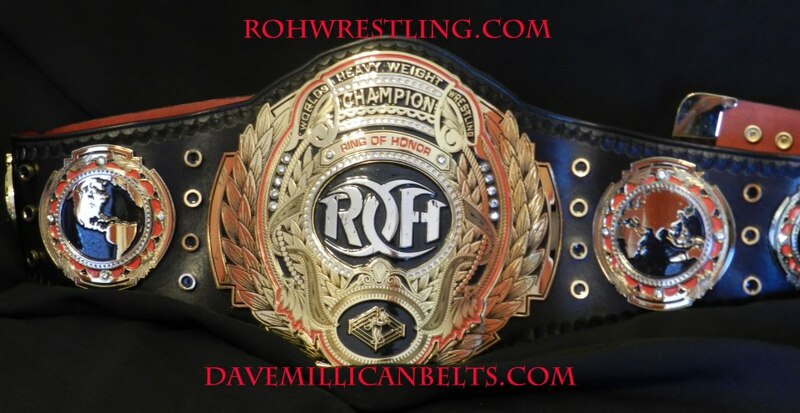 * * * NOTES: After Samoa Joe defeated The Zebra Kid on May 17, 2003, in London, England, the ROH Championship was renamed the ROH World Championship. * * * NOTES: James Gibson won a four-way elimination match also involving Christopher Daniels and Samoa Joe. * * * NOTES: Bryan Danielson then unified the title with the ROH Pure Championship on August 12, 2006 by defeating Nigel McGuinness in Liverpool, England. * * * NOTES: This was a triple threat elimination match also involving Tyler Black. * * * NOTES: This was a 'no disqualification' match with Terry Funk as the ringside enforcer. * * * NOTES: Eddie Edwards became the first ROH Triple Crown champion. * * * NOTES: Title vacated by ROH Match Maker Nigel McGuinness after Jay Briscoe suffered a storyline injury at the June 23 television tapings and would not be able to compete in ROH for the foreseeable future. * * * NOTES: This was the finals of a 16-man tournament to crown a new world champion after Jay Briscoe was stripped due to injury.